Love is in the air for the freshly engaged Chris Pratt and his beloved Catherine Schwarzenegger. The couple seems ready to tie the knot after a whirlwind summer romance that left them both head over heels for one another. Chris Pratt shared the exciting news early Monday Morning in a touching Instagram post below the photo capturing the happy couple and the focus on the huge diamond ring. The two have tried to keep their romance from the public eye and started appearing on social media together just a bit over a month ago. Last week, Pratt was spotted while helping Katerine move from her Santa Monica, California home. On Schwarzenegger’s twenty-ninth birthday in December, Pratt posted a heartfelt tribute to his girlfriend, and that’s when we noticed things have got serious for the couple. 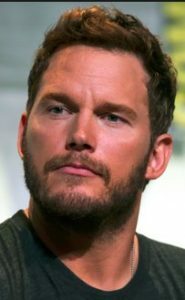 The Guardians of the Galaxy 39-year-old actor had been married to actress Anna Faris, from 2008 until they announced their divorce in 2017. They share a 6-year-old son, Jack and both have agreed to live within a 5-mile radius of each other until their son completes sixth grade. Farris has also moved on since the separation and is dating cinematographer Michael Barrett. Both couples took Jack to trick-or-treat together, making sure he has the best Halloween ever. Katerine is the daughter of Arnold Schwarzenegger and Maria Schriver who introduced the couple to one another. The things heated up very quickly and they are both hopeful for the future. They were first spotted together in early summer on Father’s Day and they were all smiles as paparazzi captured them on various date nights. Then they started spending time with one another’s families. Chris joined her family for dinner at Shriver’s house in August, with her brother Patrick Schwarzenegger posting videos of the two happily laughing with the family at the head of the table. In September, Katerine visited Pratt’s brother and his winery in Napa, California. Close friends describe them like very compatible and perfect for each other. Getting married after only months of dating definitely witnesses how deep is their love and enchantment with each other and we wish them all the best.